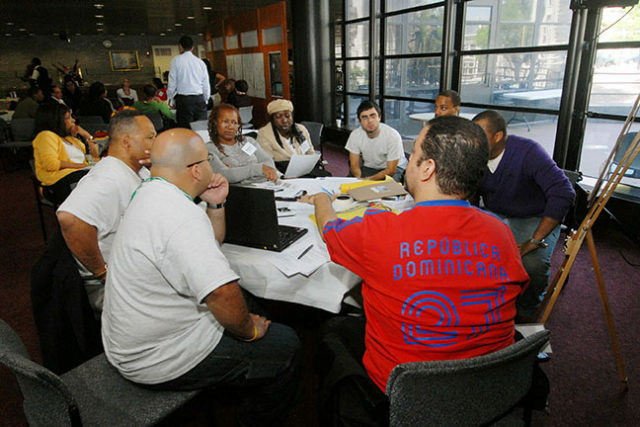 A neighborhood with engaged and passionate community members is one that will have a long and sustained future. 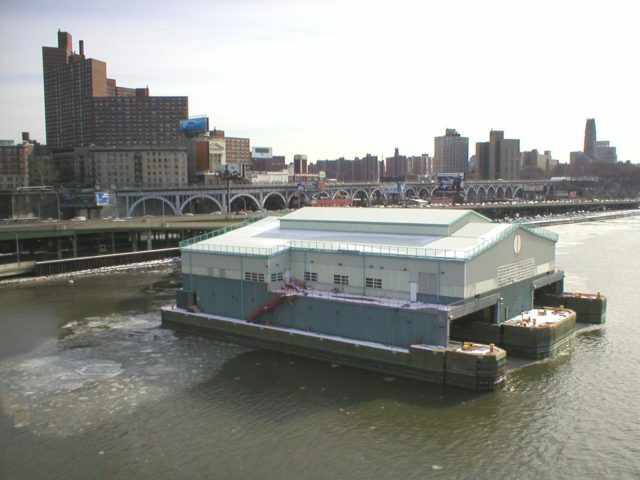 Through advocacy and community organizing, WE ACT for Environmental Justice, Community Board 9 and local community partners have the power to transform the 135th street Marine Transfer station (MTS). With WE ACT’s ongoing leadership and partnership with Community Board 9, the West Harlem waterfront area continues to experience a transformation of its most vulnerable areas into that which serves as a source of pride. The MTS is located on 135th Street and the Hudson River. It was opened in 1955 and served as the main facility receiving waste generated by the borough of Manhattan for more than 40 years. The MTS operated 24 hours a day, where more than 1,000 tons of NYC’s residential and commercial garbage were processed and transferred daily onto barges which were then sent to Fresh Kills Landfill located in Staten Island, NYC. Everyday, the 24 hour operations burdened the surrounding community with noise, foul odors, and harmful diesel exhaust from garbage trucks. In addition, over the years the waterfront area immediately adjacent to MTS was targeted as a dumping ground for all sorts of hazardous wastes and abandoned debris, exposing residents even further to harmful toxic substances and conditions. The MTS has been closed since November 1999 and is presently under the jurisdiction of the New York City Department of Sanitation. In 1998, WE ACT with Community Board 9 led a ten year community based planning initiative to redevelop the waterfront area immediately adjacent to MTS. In 2009 the West Harlem Piers Park opened along the Hudson River waterfront stretching from 125th to 135th Streets. The trash to treasure campaign realized a major victory, as the project succeeded in reaching its goal to transform the dilapidated strip of land along the waterfront at 125th Street and the Hudson River into the beautiful green oasis it is today. The Trash to Treasure campaign continues with the MTS redevelopment project in its initial planning stages. WEACT and Community Board 9 have been conducting on going meetings with stakeholder West Harlem residents and local elected officials to determine the reuse options for the MTS. These meetings known as Community Visioning Process Meetings has so far generated a number of ideas for the MTS reuse. Among these ideas are plans for a Waterfront Environmental Center which would be open to the public and provide educational programs in ecology and the urban environment. A hydroponics and aquaculture center, which would serve to teach residents how to grow food and a sustainable method of fish farming. A recreational waterfront facility and bathhouse was proposed where the public could take part in activities such as kayaking and rowing. And a trade show and exhibition space was another proposed idea, this would provide an economic benefit by using space to host local artists’ works, hosting flea markets or food vendors. The transformation of the MTS will be an added treasure and serve as a source of hope, vision and pride for the community. A redeveloped MTS that crystallizes the community’s vision will bring a better quality of life and improved economic development to the West Harlem waterfront.